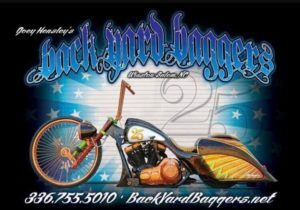 Join us Back Yard Bagger in conjunction with Team Money Cycles presents SOS/ BYB Grudge Fest hosted by Tobacco Road Harley-Davidson!!! Friday night join us for the meet and Greet!!! What will this years theme be??? Stay tuned for more info!!! Saturday we will have the custom bike show!!! Shine those babies up and have them ready to line up and show out!!! Calling all audio bikes… We don’t have to tell to be ready or what to expect!!! The best of the best will be in town for the last BIG audio show of the year!!! You better be tuned and ready to ROCK the house!!! Visit: www.tmccycles.com for details on classes and rules!! !